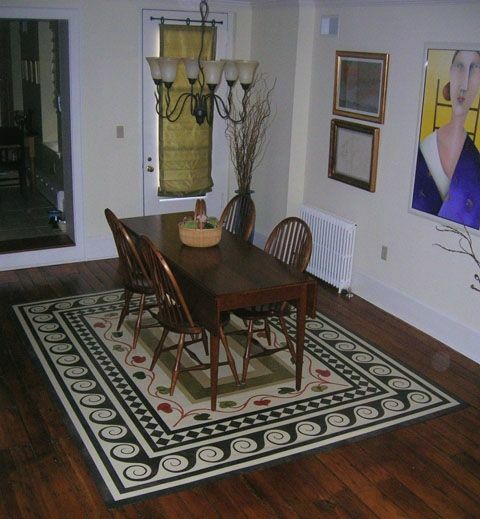 This is a custom floorcloth created for clients in Philadelphia. 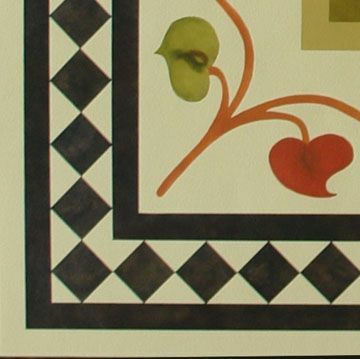 The design is based on a drawing provided by the clients from a book titled, "The Elements of Style: An Encyclopedia of Domestic Architectural Detail". 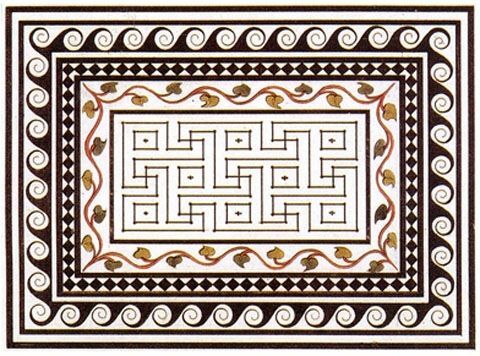 The drawing, produced in 1825, is of a mosaic pavement from Pompeii, which had just begun to be excavated around 1750. 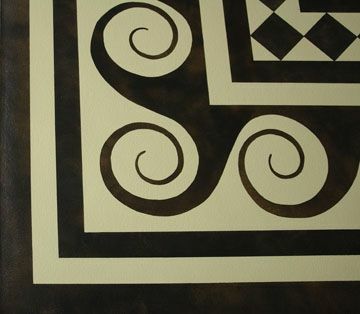 We created stencils to mimic all aspects of the drawing except for the center maze where a simpler rectangular design was used. The background color is Adams Gold. 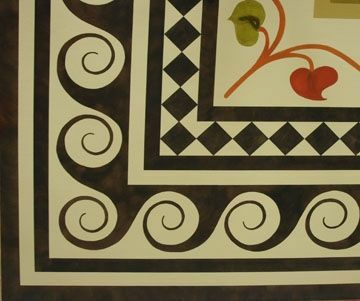 A custom brown/black mix was used for the border motifs. 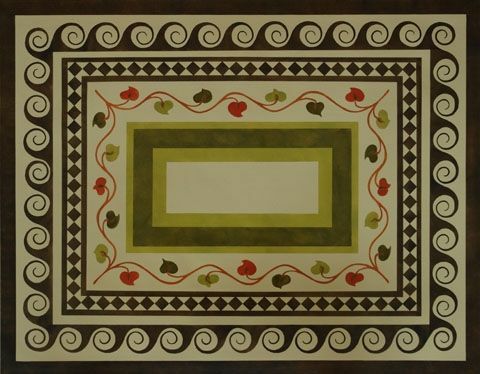 The vine color is Gold Oxide and the flower colors are Red Earth, Olive and custom green. The center rectangles are Millington Gold, custom green and Adams Gold. Dimensions: This floorcloth, as shown, measures 7' 8" x 9' 9"; it can be made in other sizes.